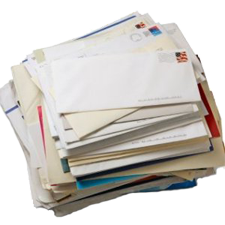 Unsolicited or unwanted mail, often called “junk mail” and phone books can be a nuisance for you, while using up valuable resources and contributing to pollution and litter problems. When you make purchases, give to charities or register products, your name and address are oftentimes entered into a computer database and sold to bulk mailing companies. The links below will help you to opt out of these mailing lists.